1. 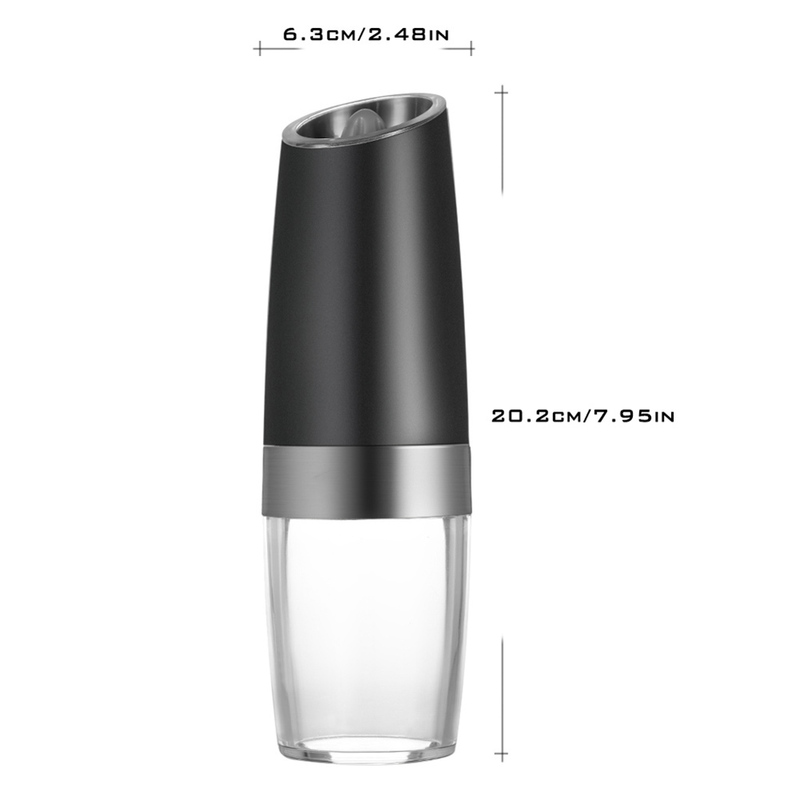 Special design of Gravity Activated and automatically turn on as you tilt it to spice your food and automatically turn off as you put it straight. 2. Stainless steel & acrylic material, No Risk Of Glass Breakages and extremely durable for use. 3. Top quality Ceramic Rotor offers long time durability and can grind against the toughest peppercorns, sea salt or other spices. 4. 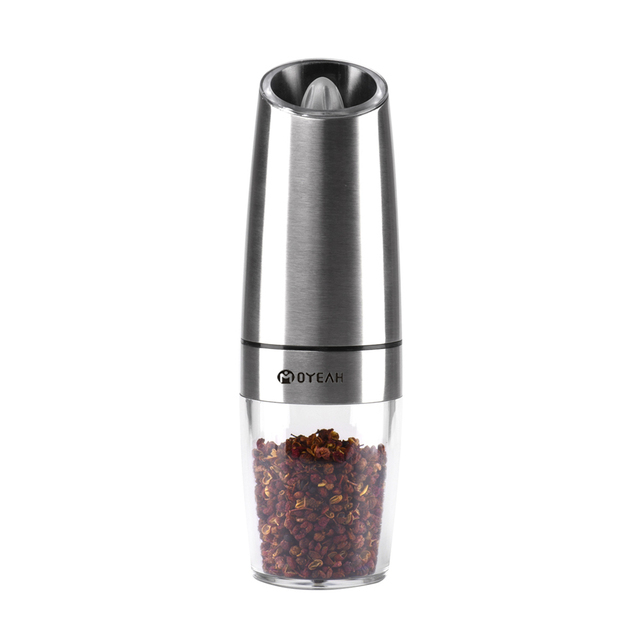 Grind more pepper and faster, Much More Convenient with the Gravity Switch and leave no mess on your table. 5. 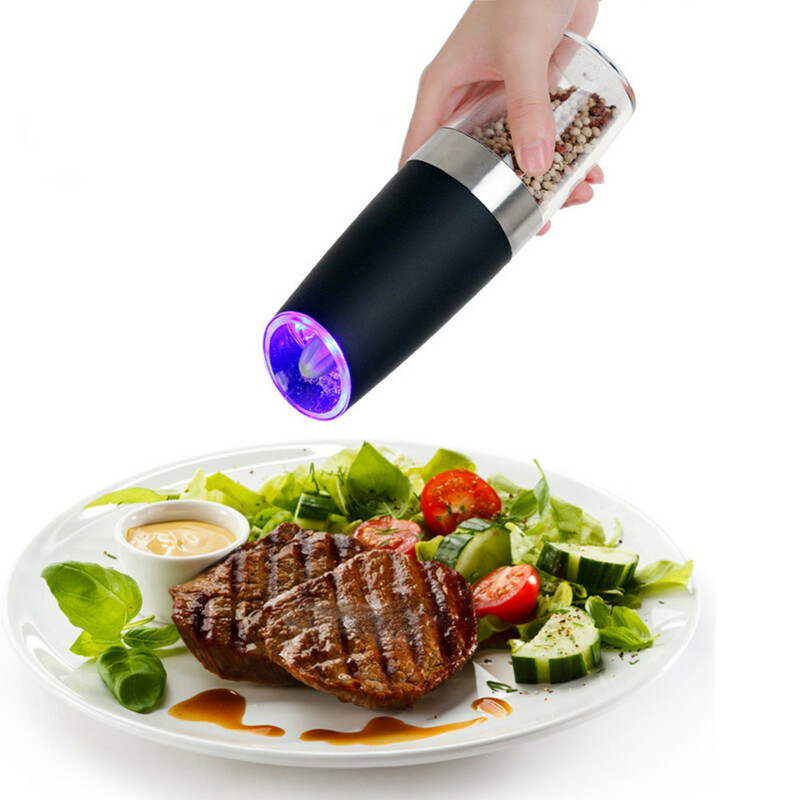 Innovative pepper mill dispenses spice with Blue LED Light turning on as the pepper grinder is in operation. 6. 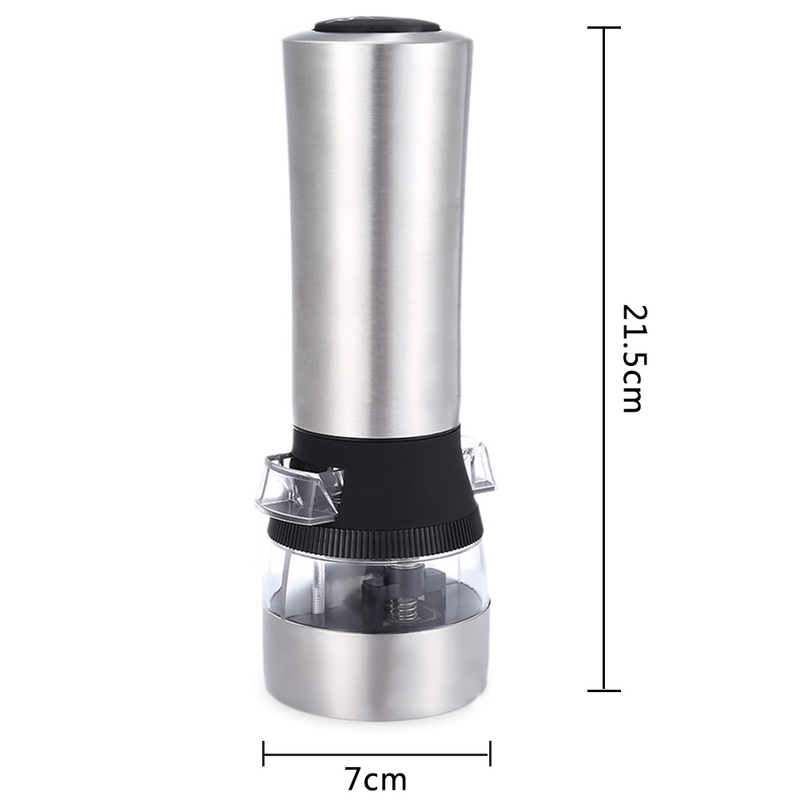 Spice food easily when you cook or hold something in your other hand, enjoy the convenience and fast speed of our Gravity Pepper Mill. 7. Used as both electric pepper grinder and automatic salt mill with simple One Hand Operation. 8. 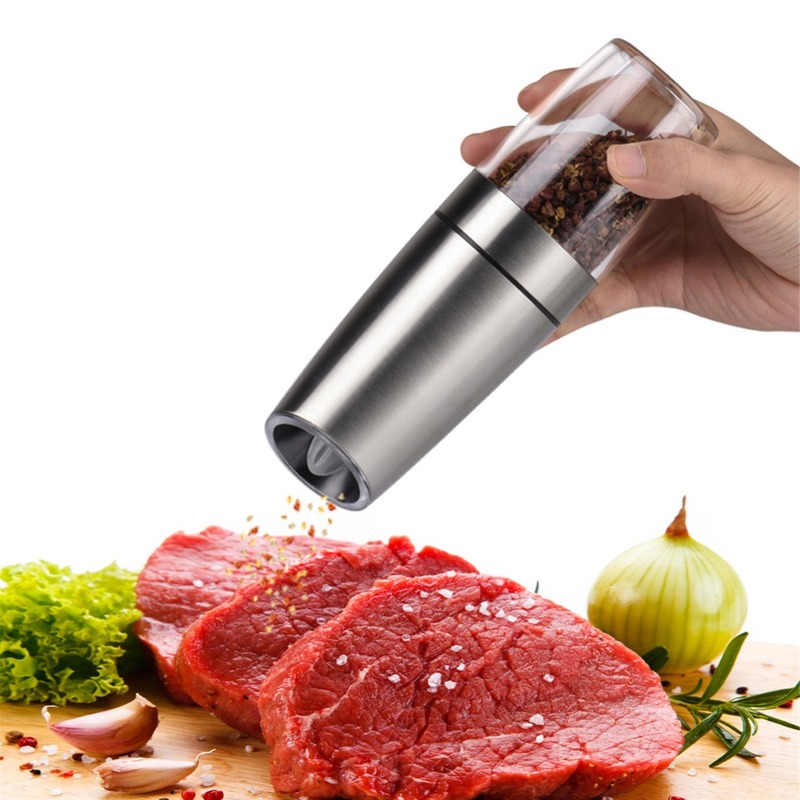 Great & amazing grinding tool for pepper in the kitchen. 9. 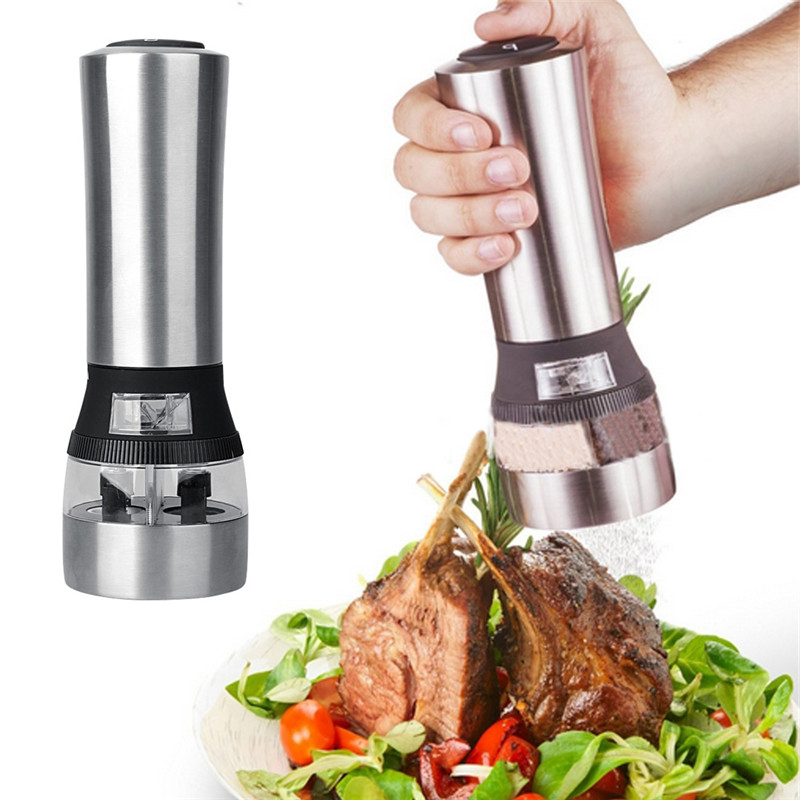 Wonderful gadget to make freshly pepper powder spice for enjoying a tasty salad or steak. 1. High quality adjustable ceramic grinder that supports different grind settings from medium to coarse. To adjust simply turn the grinder knob at the top of the grinder and choose your favorite grinding coarseness. Turn clockwise for a finer grind and counter-clockwise for a coarser grind. 2. Suitable for milling pepper, sea salt and other small sized spices. 3. Clean the outside of the mill with a soft damp cloth. Never immerse your mill in water. Store your mill in a dry place. 4. Your salt & pepper mills are NOT a toy and should be kept out of the reach of small children. Tiene muy buena pinta, para nada el material se ve de baja calidad. es cristal, plástico sólido y metal. No tiene botón, al inclinarlo se enciende una luz y empieza a moler. Muy contento la verdad. It looks nice, already tried it. Loved the ones we got first time - order these for gifts! Dear store! The order received, works fine, everything corresponds to the specified product on the site! Good luck and good luck to sellers like you !!! Product and seller recommend! Great product, works well, looks well. 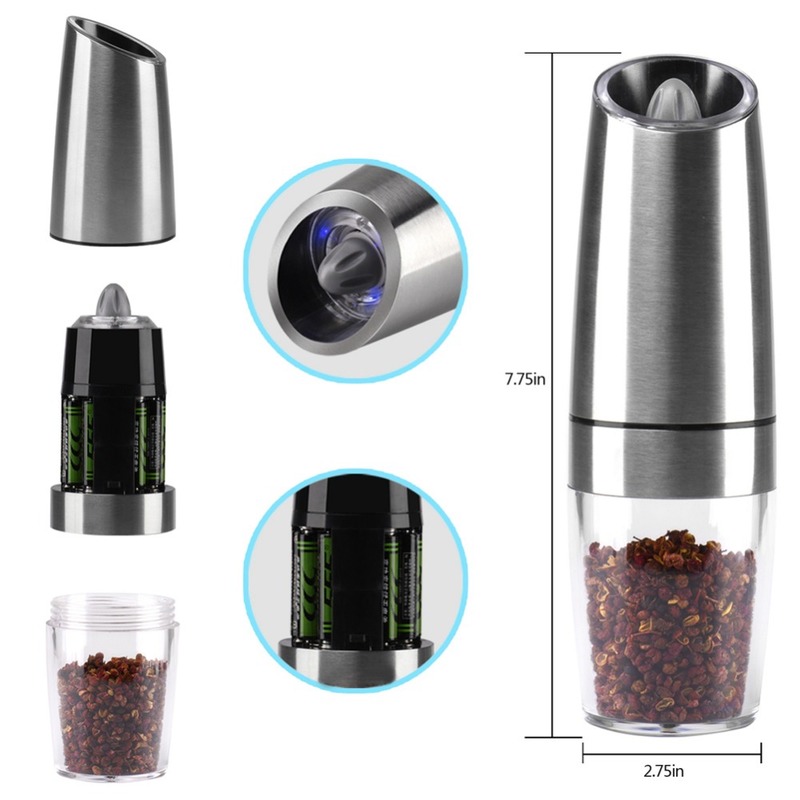 Much better than other automatic pepper/salt mills. vraiment parfait trés jolie je recommande fortement !! livraison rapide et bien emballé !! Very nice product!!! Fast shipping!! Good store!! !